Our Bengal Cat Made it Home! My dad was visiting me from out of town, and had brought his best friend, Pique a Boo, a beautiful Bengal cat. Pique, who is not at all used to the outdoors or my neighborhood, escaped from my house. We searched the neighborhood high and low, put fliers everywhere we could think of, talked to everyone who lived nearby, but a full 24 hours later, he was still missing. My dad was distraught and I have never felt so helpless. 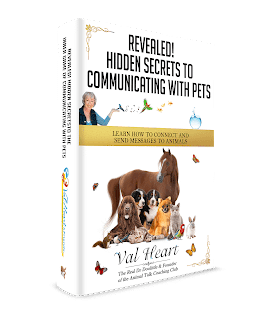 It finally occurred to me to ask Val Heart if she could help. She put me in touch with Tim, who had answers for me in a short time. Tim told me that he had communicated with Pique, and that the cat told him that he was calm and comfortable, and had showed him a pool, a creek that was close to a school, and an area with scrap metal. Tim asked Pique a Boo to return to my home. Tim recommended that I set a humane trap towards the back of my yard. Right around this time, my neighbor called to tell me that he had spotted the cat in the middle of the night, but couldn’t catch him! I immediately went to borrow a trap and my dad returned to my house. As soon as my dad pulled up, Pique a Boo casually walked up to my front door! After a full 24 hours of searching, calling him, he just calmly returned! He also told me that Pique was calm and comfortable- that was the last thing any of us had expected to hear. The cat went absolutely wild when he escaped a few times from my father’s house. I honestly thought Tim might have been off on that point, but he was completely correct!